NEW product & displays at DFC, your feel good store! It’s an exciting time here at Designer Flower Center. 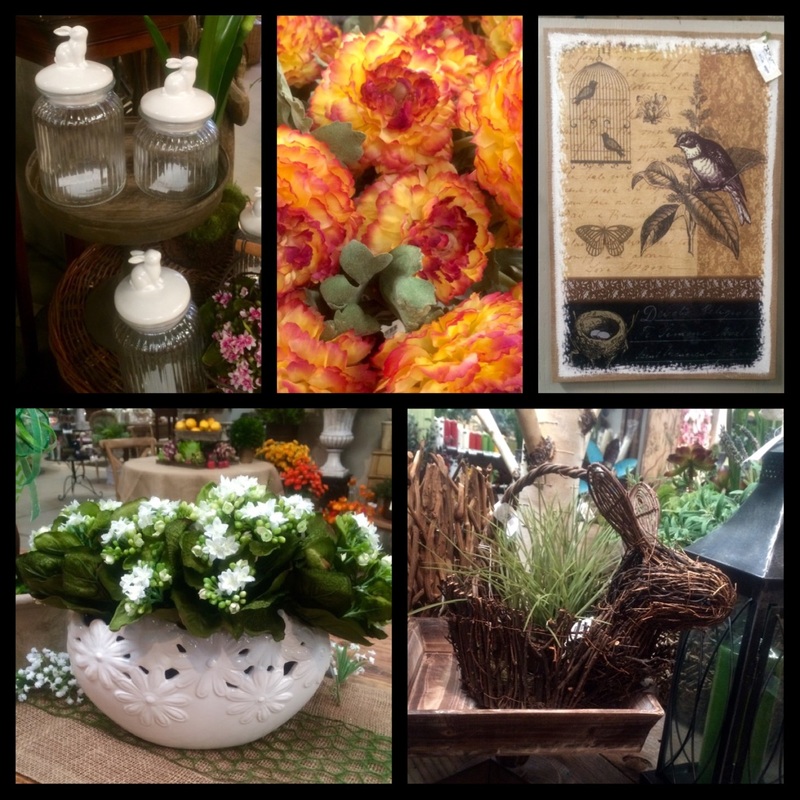 We are getting in all our new Spring product along with a bunch of great designer home decor products as well. Spring seems to be the best time to spruce up your home, along with the annual “Spring Cleaning”! We have the cutest Spring garlands, decor, wreaths, and so much more. 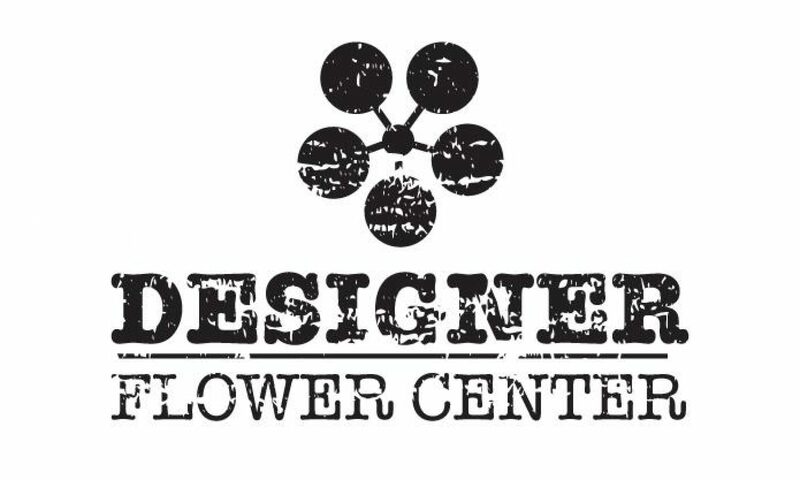 We truly believe in making Designer Flower Center your “go-to” one stop shop for everything home decor, gifts and more, we are your local feel good store! What else is great is we don’t have mass produced items like other chain stores, our products are hand selected by our awesome buyer and man; doesn’t she have the best taste! So come on in to DFC for tons of new product, displays, and a very personable shopping experience! Here is a short slide show with some catchy music to show you all our wonderful new product we just received! Shop small, shop local! Support your local small business! 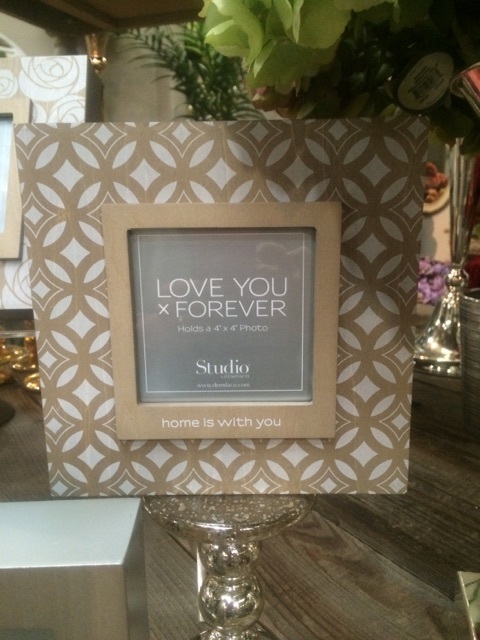 We also got in these BEAUTIFUL new picture frames! Come see us at the Fresno Home Show! On March 14th from 9:00AM-5:00PM DFC will be hosting our 2015 Spring Open House! This is a great time to bring your friends and family in for a fun day full of shopping and great sales! Head on into DFC, New Product & Displays! Good afternoon! The store is looking great, we have a bunch of new displays and new product that has just arrived. 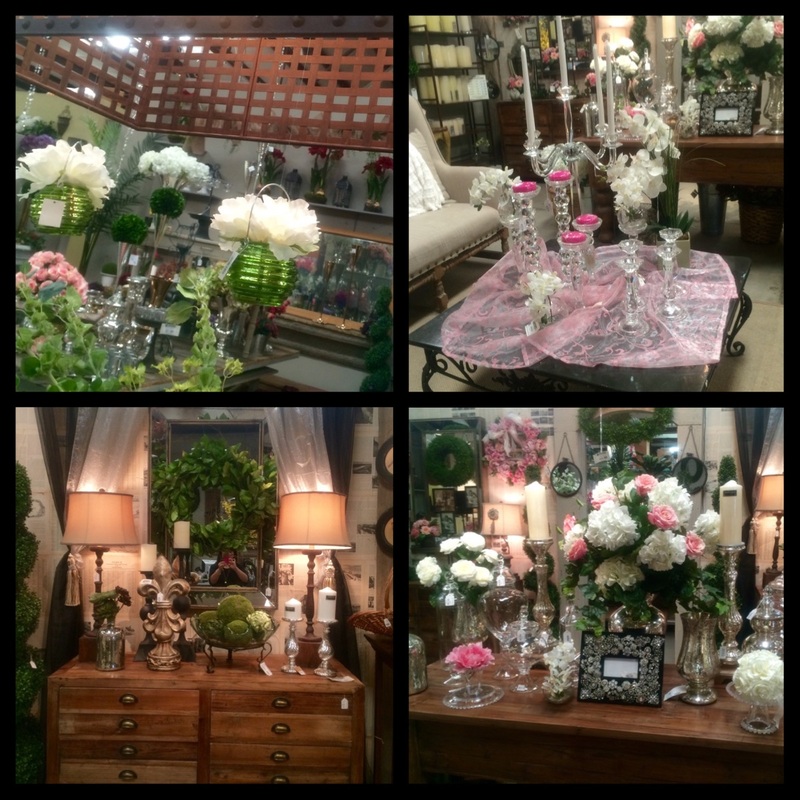 We are happy and excited to share photos of everything NEW at Designer Flower Center! 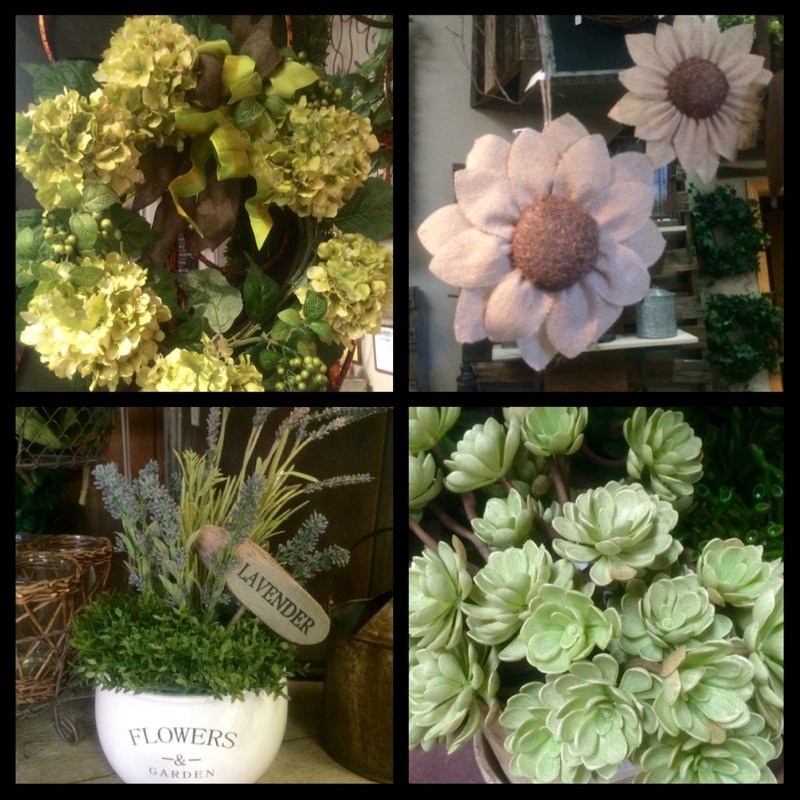 We have some new succulents, hydrangeas, flowers, and arrangements that would look great in your home or office this Spring. Spruce up your home with these Spring time favorites! Also, don’t forget that March 17th is St. Patricks day! 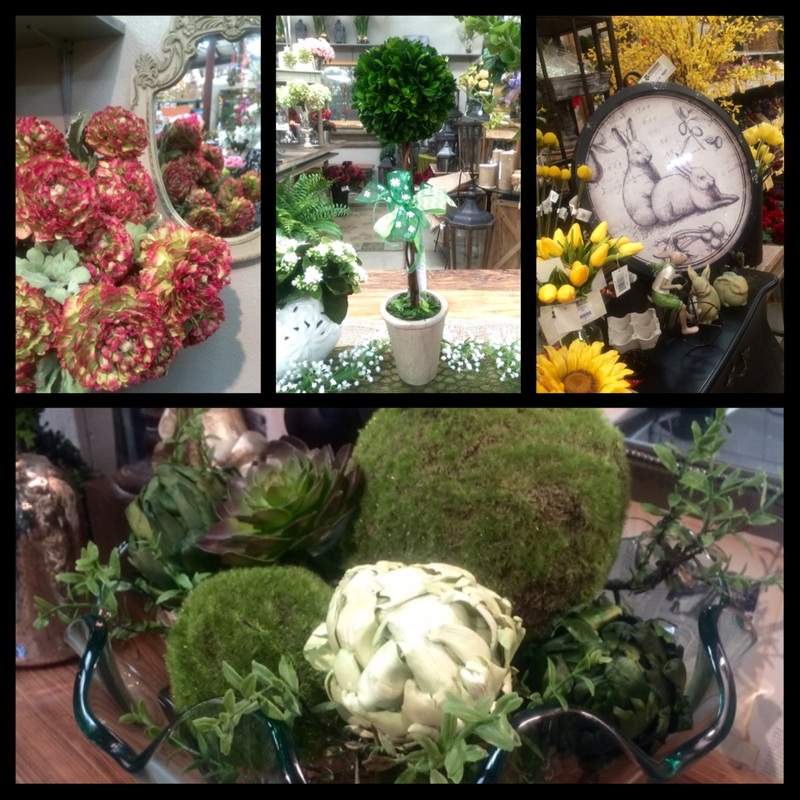 All this new greenery would add a great touch of sophisticated green for the holiday! These great new home decor items are great! Such an easy way to quickly add a designer touch to your home or office! We have spruced up our showroom with all our new product. 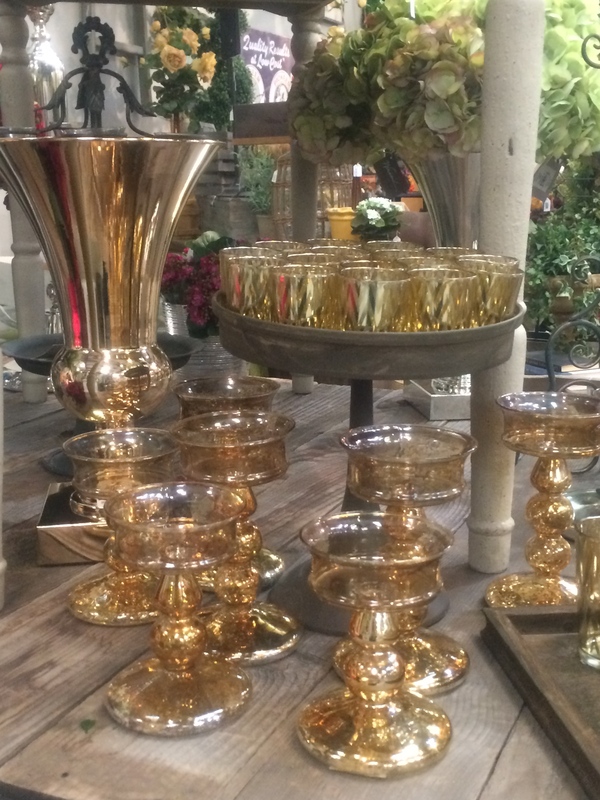 These beautiful new chevron votives come in silver and gold! New displays are being designed all the time, we take great pride in our showroom and hope you love and enjoy them as much as we do. “How Sweet it is to be loved by you” DFC Valentines Day! The day of love is quickly approaching us, have you gotten something for that special someone yet? Valentine’s day isn’t only about romance, it’s also about the people you love. Weather it be your mother, sister, best friend, son, brother, grandparents, anyone you love you can spoil and show how much you love them even more so on that special day. 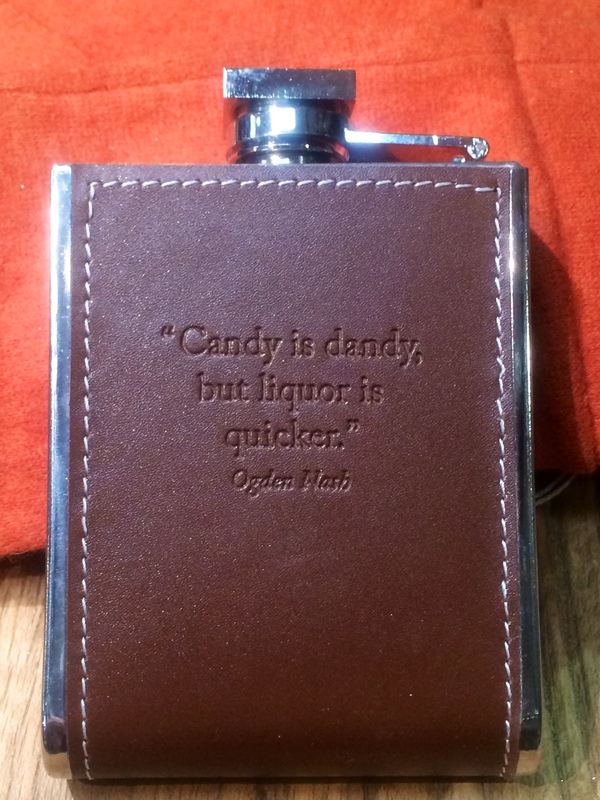 We have a lot of great gifts for anyone on your list. Lotions, jewelry, accessories, home decor, kitchenware, something for everyone! Our jewelry is 25% off, making them great gifts! Valentines Decor is also on sale, 25% OFF, hurry in! Ready for Valentines Day? ALL Jewelry on sale NOW! Valentines Day is just 7 days away and boy do we have a great sale for you. All Jewelry is now 25% OFF, just in time for Valentines day! Get your sweetheart just what she deserves, some beautiful, unique DFC Jewelry! All Jewelry is 25% OFF! and a huge shipment just arrived! Valentines Day at Designer Flower Center! 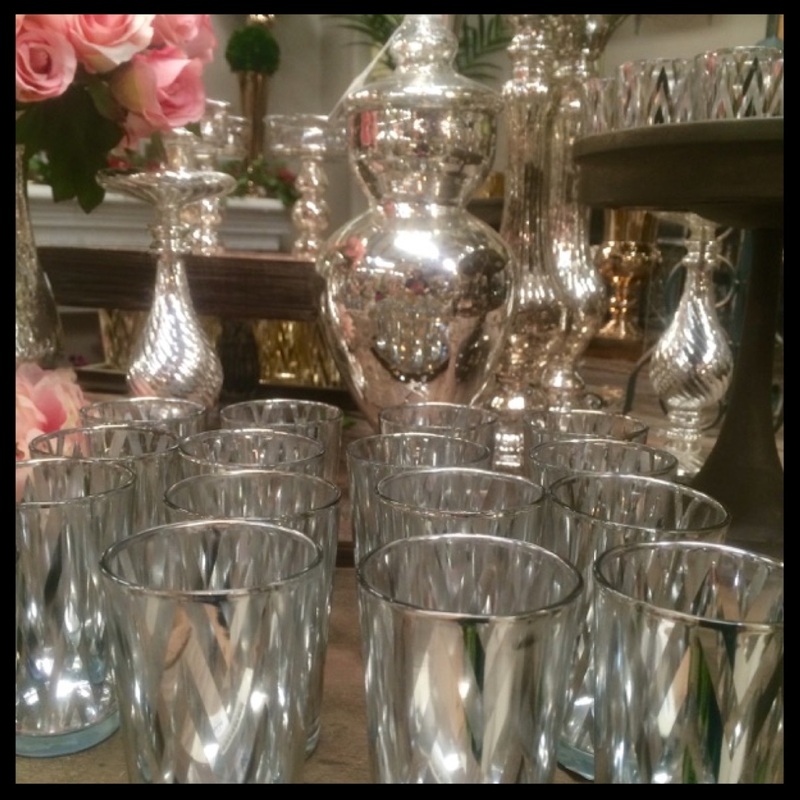 The white vases above are perfect for all year round! They look amazing with red roses in them and you can switch it up for every occasion or holiday! What’s great about faux flowers is you can use them every year saving you so much money! Just pack them away in a safe spot and bring them back out next holiday! Hurry in, Valentines Day is just 8 days away!